The ITU Internet Reports cover almost a decade of the evolution of the internet and the fixed and mobile telephone networks. The reports began under the title "Challenges to the network" in 1997 and there have been eight so far. All eight reports contain specific examples in different economies, as well as a global overview. The Statistical Annex to each report contains data and analytical charts on up to 206 world economies. For more information, contact lara.srivastava(a)itu.int. 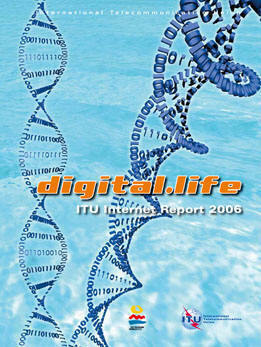 digital.life is the eighth in the series of ITU Internet Reports, launched in 1997, and focuses on consumers and looks at how human lives are being continuously shaped and re-shaped by advances in digital technologies. Prepared especially for ITU TELECOM World (December 4-8 2006 in Hong Kong), the report begins by examining the underlying technological enablers of new digital lifestyles, from upgrading network infrastructure to value creation at its edges. In studying how businesses are adapting to fast-paced digital innovation, the report looks at how they can derive value in an environment driven by convergence at multiple levels. The question of extending access to underserved areas of the world is considered as an important priority. In light of media convergence, a fresh approach to policy-making may be required, notably in areas such as content, competition policy, and spectrum management. Moreover, as our lives become increasingly mediated by digital technologies, the role of digital identities (both abstract and practical) presents a new challenge. Concerns over privacy and data protection are not being sufficiently addressed by current methods for managing identities online. As such, the report examines the changing digital individual, and outlines the need for improving the design of identity management mechanisms for a healthy and secure digital world. 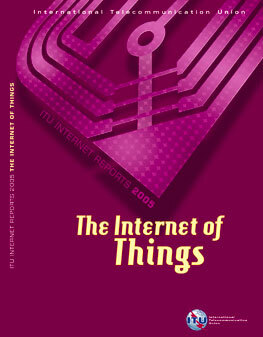 The Internet of Things is the seventh in the report series and takes a look at the next step in "always on" communications, in which new technologies like RFID and smart computing promise a world of networked and interconnected devices that provide relevant content and information whatever the location of the user. Everything from tires to toothbrushes will be in communications range, heralding the dawn of a new era, one in which today’s Internet (of data and people) gives way to tomorrow’s Internet of Things. The late Mark Weiser (at the time chief scientist at the XEROX Palo Alto Research Center) is quoted to have said: “The most profound technologies are those that disappear. They weave themselves into the fabric of everyday life until they are indistinguishable from it.” This well-known citation refers to the increasing “availability” and decreasing “visibility” of processing power. In other words, computing through dedicated devices will slowly disappear, while information processing capabilities will emerge throughout our surrounding environment. With the benefit of integrated information processing capacity, industrial products will take on smart capabilities. They may also take on electronic identities that can be queried remotely, or be equipped with sensors for detecting physical changes around them. Such developments will make the merely static objects of today dynamic ones - embedding intelligence in our environment and stimulating the creation of innovative products and new business opportunities. The Internet of Things will enable forms of collaboration and communication between people and things, and between things themselves, hitherto unknown and unimagined. 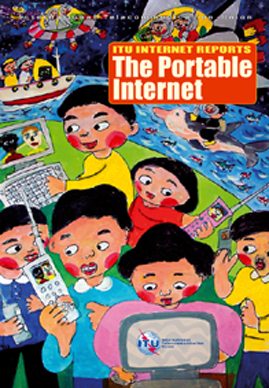 The Portable Internet is the sixth in the series and was specially prepared to coincide with ITU TELECOM Asia 2004, Exhibition and Forum, to be held in Busan (Republic of Korea) from 7 to 11 September 2004. This report examines the emergence of high-speed wireless Internet access together with the proliferation of portable devices. In so doing, it explores the market potential and future impact of this new set of technologies underlying the "portable Internet". Chapter one, the Introduction, defines the portable Internet for the purposes of the report, focusing in particular on its disruptive nature relative to existing business models, and examines the stakes for industry and the public sector. Chapter two, Technologies for the portable Internet, provides a technical overview of high-speed mobile and wireless networks underlying the portable Internet. Chapter three, Market trends, looks at growth patterns, market opportunities, pricing strategies and corporate strategies. Chapter four, Policy and regulatory aspects, discusses the challenges faced by regulators and policy-makers in an increasingly portable environment. Chapter five, The Portable Internet as a tool for bridging the digital divide, considers the impact of the portable Internet in underserved areas and looks at the role played by national policy, community initiatives, education and affordability in extending its reach. Chapter six, The future of portable Internet technologies, explores cutting-edge developments and future market applications. Chapter seven, The information society and the human factor, looks at the impact of portable Internet technologies on society and socialization. Birth of Broadband is the fifth in the series and was specially prepared for the ITU TELECOM World 2003 Exhibition and Forum, held in Geneva from 12 to 18 October 2003. As one of the “hot topics” of the telecommunication industry in 2003, broadband is expected to be one of the highlights of this year’s show. This new report examines the emergence of high-speed, dedicated Internet connections that will greatly expand the world’s access to information. Broadband will also facilitate the long-expected convergence of three previously distinct technologies: computing, communications and broadcasting. Internet for a mobile generation is the fourth in the series and examines the possibilities and challenges emerging from the convergence of two distinct sectors of the telecommunication economy, the Internet, and mobile telephony. Chapter one of the report defines the mobile Internet in the larger context of technological con­ver­gence and market demand. Chapter two, Technologies and applications, provides a technical overview of high-speed mobile networks and available services and applications for the mobile Internet. It also examines the competition or co-existence of various network technologies. Chapter three, Market trends, takes a look at the changing landscape and the commercial challenges involved in creating a mass market for mobile Internet services. Chapter four, Regulatory and policy aspects, discusses the hurdles faced by regulators and policy-makers in a converging market environment. Chapter five, Case studies, summarizes a selection of examples taken from country case studies carried out by ITU, looking at how individual countries are approaching, or have approached, licensing and deployment of 3G. Chapter six, Conclusions: Towards a mobile information society, looks ahead to the broader societal implications of the mobile Internet. IP Telephony is the third in the series and ooks at the topic of IP Telephony. Internet Protocol (IP) Telephony is rapidly reaching the top of the agenda for the telecommunications industry worldwide. The key issue that has gained the attention of policy-makers, regulators, and industry alike is that the Internet, and other IP-based networks, are increasingly being used as alternatives to circuit-switched telephone networks. The many different `flavours' of IP Telephony provide, to varying degrees, alternative means of originating, transmitting, and terminating voice and data transmissions that would otherwise be carried by the public switched telephone network (PSTN). In many countries it is now possible, using a standard telephone, to call almost any other telephone in the world by means of IP Telephony. By 2004, this could account for up to 40 per cent of all international traffic. Because these calls are mainly carried outside of the PSTN, they are also outside the regulatory and financial structures that have grown up around it. The transmission of voice over IP-based networks, with its challenges and associated opportunities, of voice and data integration, etc., constitutes a milestone in the convergence of the communications sector, and this report discusses and analyses many of the issues surrounding IP Telephony. 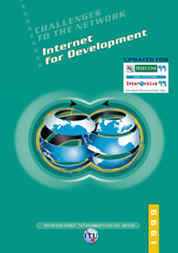 Internet for Development is the second report in the Challenges to the Network series (now called ITU Internet Reports). 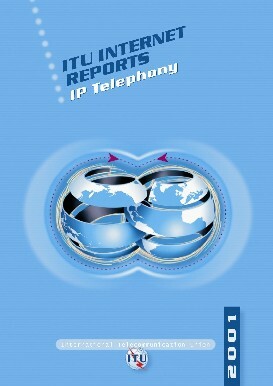 This version of the report was prepared specially for TELECOM '99, held in Geneva 10-17 October 1999, and contains the very latest data for Internet host computers. The subject this year is the role of the Internet in economic and social development, with a focus on developing nations. Individual chapters look at the use of the Internet for commerce, for health and for education. Other chapters look at the impact of the Internet on the public telecommunication operators of developing countries, and on the challenges facing regulators.